Distributors of ASME SB564 Inconel 625 Blind Flanges, Inconel® 625 Pipe Flange, Inconel 625® Flanges Exporter, Chronin® 625 Flange Suppliers, Inconel 625 Flanges, 625 Inconel® Alloy Flange, Inconel® Grade 625 Industrial Flanges Stockists, Inconel 625 Plate Flanges Suppliers, ASTM B564 Inconel Alloy 625 Slip On Flanges Dealer in Mumbai, India. UNS N06625 Inconel® Alloy Socket weld Flanges, Class 300# 625 Inconel® Lap Joint Flanges Exporters, ASME 16.5 Inconel Alloy 625 Slip On Raised Face (SORF) Flanges, 625 Inconel Ring Type Joint Flanges (RTJ) Wholesaler, Inconel® 625 Orifice Flange Traders, Altemp® 625 Flanges Dealer, Haynes® 625 Flange Manufacturer, 625 Nickel Alloy Weld Neck Flanges Manufacturer. Renine Metalloys is a notable distributor of Inconel Alloy 625 Flanges, which is resistant to seawater, in both flowing and stagnant conditions, and under fouling. Markets for Inconel 625 Slip On Flanges include: Marine, Chemical Processing, Nuclear, Aerospace, and more. 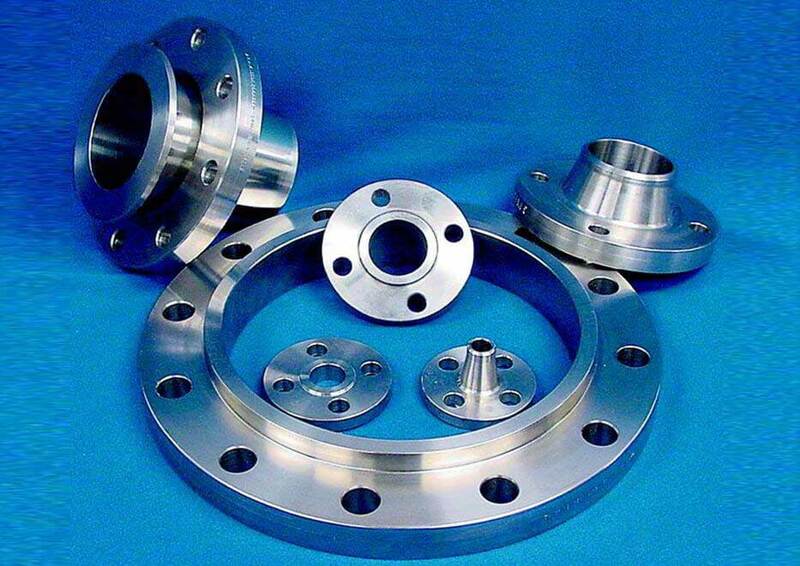 For shielded metal - arc welding, these Inconel 625 Socket Weld Flanges has excellent operability. Post-weld heat treatment of Inconel 625 Weld Neck Flanges is not necessary to maintain corrosion resistance. In order to restore the best balance of properties, all hot or cold worked parts of these Inconel 625 Threaded Flanges should be annealed and rapidly cooled. Inconel 625 Blind Raised Flanges can be readily welded by conventional processes used for austenitic stainless steel, including fusion and resistance methods. Additionally, these Inconel 625 Spectacle Blind Flanges has outstanding strength and toughness at temperatures ranging from cryogenic to 2000 Degree F.
Solar power stations that use super - heated salt (potassium and sodium nitrate) have used Inconel 625 Lap Joint Flanges in the seamless tubing of the solar receivers. These Inconel 625 Ring Type Joint Flanges is used in chemical process equipment handling mixed acids both oxidizing and reducing. Inconel UNS N06625 Flanges resists a wide range of severely corrosive environments and is especially resistant to pitting and crevice corrosion. Since these Inconel Din 2.4856 Flanges is prone to work - hardening, only low cutting speeds should be used and the cutting tool should be engaged at all times. Werkstoff No 2.4856 Nickel Alloy Flat Face Flanges, Inconel® 625 Socket Weld Raised Face Flanges (SWRF) Traders, EN 1092-1 Inconel Alloy 625 Reducing Flanges, 625 Inconel Weld Neck Raised Face Flanges (WNRF) Flanges Exporters, Inconel® Alloy 625 Square Flanges, Inconel 625 BS4504 Tongue & Groove Flanges, Nickelvac® 625 Flange Stockist, Nicrofer® 6020 Flanges Stockholder, Inconel® JIS NCF 625 Spectacle Blind Flanges Suppliers. Inconel 625 Flanges, 625 Inconel® Alloy Flanges, Inconel® 625 Industrial Flanges, Inconel Alloy 625 Slip On Flanges, Inconel 625 Pipe Flanges, Class 150#, 300#, 600#, 900#, 1500#, 2500# Inconel® 625 Plate Flange, Inconel Alloy 625 Forged Raised Face Threaded Flanges, Inconel 625 - UNS N06625 Common Trade Names (Inconel 625®, Chronin® 625, Altemp® 625, Haynes® 625, Nickelvac® 625, Nicrofer® 6020), ASTM B564 / ASME SB564 Inconel® Alloy 625 Threaded / Screwed Flanges, Werkstoff No 2.4856 Inconel Blind Flanges, BS4504 625 Nickel Alloy Socket Weld Flanges, EN 1092-1 Inconel® 625 RTJ Flanges, ASME B16.5 Inconel 625 WNRF Flange, Inconel® Alloy 625 Orifice Flange Exporter, UNS N06625 Inconel Alloy BLRF Flange, 625 Inconel Threaded Flanges Supplier, Inconel 625 Raised Face Flanges, ASTM B564 Inconel Alloy 625 Tongue & Groove Flanges, Inconel 625 Reducing Flanges, Inconel® Alloy 625 Square Flanges Stockist, ASME SB564 625 Inconel Forged Flanges, Inconel® 625 High Hub Blind Flange, ANSI Inconel® 625 Screwed Boss Flange, ASME Inconel 625 Slip-On Boss Flange, Cheap Inconel 625 Flanges, BS Inconel® Alloy 625 BLRF Flange, DIN Inconel 625 Plate Slip-On Flange, EN 625 Inconel Alloy Nipoflange Stockists, Inconel® 625 Spectacle Blind Flanges Stockists, ASTM B564M Nickel Alloy 625 Lap Joint Flanges, 625 Inconel Weld Neck Flanges Traders, ASME SB564 Inconel® Alloy 625 Long Weld Neck Flanges Dealer, ASME 16.48 Inconel® 625 Ring Type Joint Flanges, Inconel Grade in 625 Flanges, SB564 Inconel Alloy 625 Spectacle Blind Flanges, Inconel 625 SWRF Flange Stockholder, GOST ХН75МБТЮ Inconel® Screwed Flanges, Supplier of Inconel 625 High Quality Forged ANSI B16.47 Male And Female Face Flange, Manufacturer of Inconel 625 SORF Flanges Traders, Exporters of Nickel Alloy 625 Slip On Raised Face, SB564 Inconel® Alloy 625 Ring Type Joint Flanges Dealer, Inconel® 625 Lap Joint Flanges Stockholders, Inconel 625 Flat Face Flanges Wholesaler in India, Inconel® Alloy 625 B564 Socket Weld Raised Face Flanges Manufacturer, Distributors of Inconel 625 Weld Neck Raised Face Flanges Stockholders. Kuala Lumpur, Sydney, Surat, Vadodara, Montreal, Indore, Baroda, Nashik, Kolkata, Granada, Aberdeen, Mumbai, Vung Tau, Brisbane, Abu Dhabi, Al Khobar, Moscow, Faridabad, Pimpri-Chinchwad, Thiruvananthapuram, Haryana, Nagpur, Manama, Noida, Gimhae-si, Ulsan, Tehran, Petaling Jaya, La Victoria, Al Jubail, Sharjah, Algiers, Pune, Perth, Jeddah, Ernakulam, Lahore, Mexico City, Bengaluru, Chennai, Rajkot, Doha, Atyrau, Madrid, Thane, Hyderabad, Navi Mumbai, Edmonton, Kuwait City, Ahmedabad, London, Bogota, Cairo, Dammam, Courbevoie, Colombo, Seoul, Istanbul, Australia, New York, Chandigarh, Gurgaon, Hong Kong, Geoje-si, Coimbatore, Busan, Jamshedpur, Port-of-Spain, Visakhapatnam, Kanpur, Ranchi, Caracas, Secunderabad, Hanoi, Los Angeles, Karachi, Singapore, Chiyoda, Ahvaz, Bhopal, Turkey, Ho Chi Minh City, Howrah, Santiago, Rio de Janeiro, Jakarta, Lagos, Jaipur, Ludhiana, Dubai, Riyadh, Toronto, Calgary, Houston, Muscat, New Delhi, Milan, Bangkok, Dallas. mexico, srilanka, thailand, malaysia, Mongolia, Bahrain, Poland, Chile, Australia, Belgium, Iran, Hungary, Japan, Bangladesh, Greece, Lithuania, Turkey, Nigeria, brazil, Norway, Trinidad & Tobago,Tunisia, Iran, Zimbabwe, Italy, Tibet, Ghana, South Korea, Peru, Puerto Rico, Bhutan, cyprus, Indonesia, Poland, New Zealand, Macau, Hong Kong, United States, Switzerland, Ukraine, Singapore, Netherlands, Egypt, Canada, Portugal, Jordan, Afghanistan, Israel, Germany, Bolivia, Serbia, Yemen, Venezuela, Argentina, Philippines, South Africa, United Arab Emirates, Oman, Libya, Costa Rica, Lebanon, Kenya, Thailand, Romania, Saudi Arabia, Ireland, Azerbaijan, India, Finland, Morocco, Denmark, Spain, Gambia, Namibia, Mexico, Czech Republic, Nepal, Slovakia, Croatia, Austria, Malaysia, Ecuador, Vietnam, Colombia, Kuwait, Chile, Kazakhstan, Sri Lanka, France, Qatar, Gabon, Bulgaria, Estonia, Brazil, Algeria, Nigeria, Taiwan, Russia, United Kingdom, China, Mexico, Belarus, Sweden.